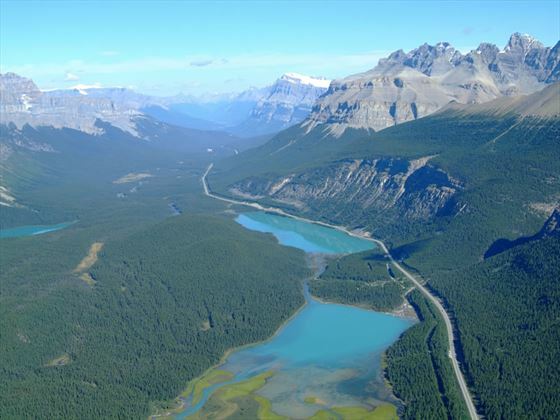 Take in the unforgettable views of miles of dense, vast forests, crystalline lakes and snow-capped mountains as you traverse western Canada. 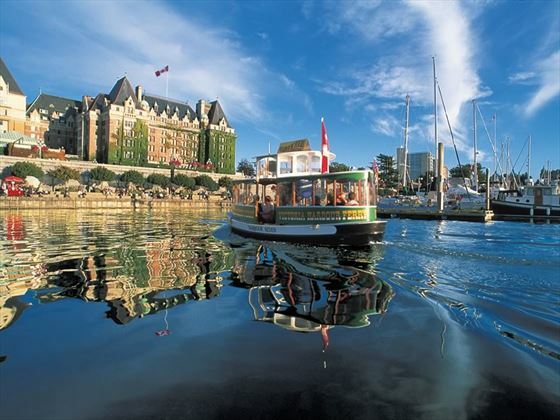 Amidst the beauty of the Inside Passage and the North American Pacific Coast, you’ll gain a thorough insight into the breath-taking charm and scenery of many of Vancouver and Victoria’s highlights – a tour you’ll never forget with sights that will inspire and amaze. Arrive into Vancouver International Airport and transfer independently to your downtown hotel. When you check in, pick up your Canada Roadbook from the front desk and spend the remainder of the day exploring the city. 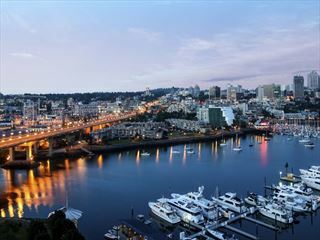 Today will be spent exploring the city of Vancouver and the surrounding area. We suggest visiting the top attractions such as Stanley Park, the MacMillan Planetarium, Gastown, Grouse Mountain, Granville Island or the Capilano Suspension Bridge to really make the most of your stay here. Take a scenic drive to Penticton in the Okanagan Valley, which is renowned for luscious orchards, beaches, and a hot, dry climate. Take the morning to explore the Okanagan Valley at leisure, then drive to the Revelstoke area – along the way, keep a lookout for the beautiful scenery which comprises staggering peaks, twinkling lakes and spectacular waterfalls. Today sees you drive through the Glacier National Park and Rogers Pass on your way to the Canadian Rockies – a truly remarkable region of Canada’s landscape. 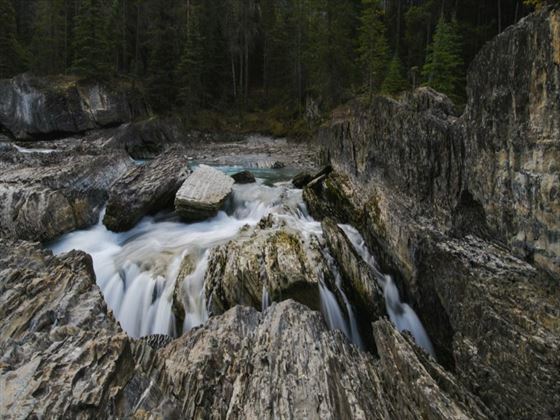 Yoho National Park marks the provincial border and meets the first national park of Canada. Kicking Horse Pass is no doubt one of the top scenic highlights within this area, and on from here you will journey to Banff. We recommend a visit to Lake Louise, which remains one of the most popular attractions in Banff and is known as ‘The Jewel of the Rockies. 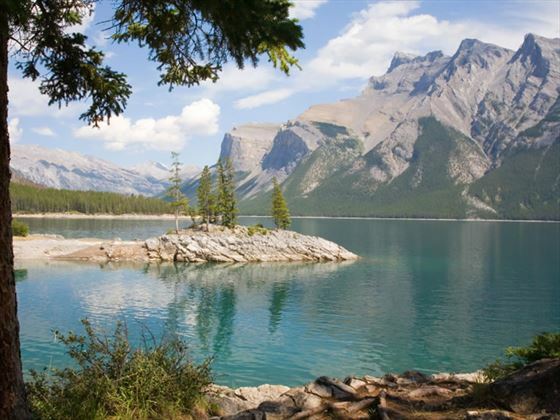 Today is free for you to explore Banff at leisure – we recommend a visit to Banff Natural History Museum, shopping along the quaint streets, and river rafting or boating on Lake Minnewanka. Today you will drive to Jasper via the spectacular Icefields Parkway; perhaps stop at Peyto Lake en-route. The photo opportunities here are outstanding, with vistas of snow-capped peaks, alpine meadows and waterfalls to be found at every turn. This is largely considered to be one of the most scenic drives in the world. 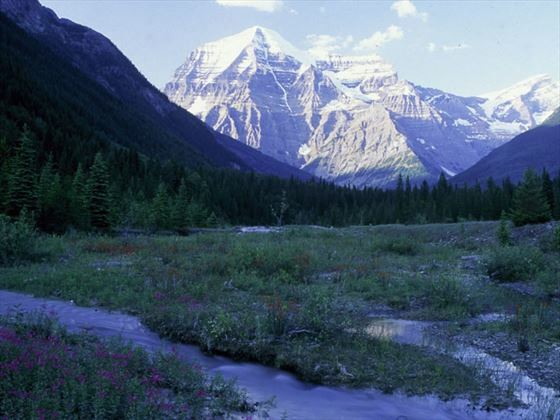 Passing the highest peak in the Rockies, Mount Robson, the Yellowhead Highway descends into the dense forests of northern British Columbia. 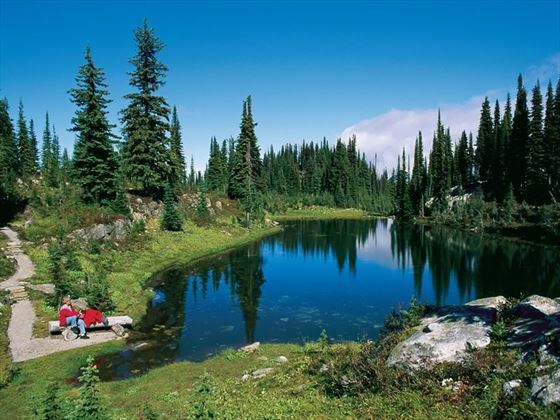 Head to Fraser River through the Cariboo Region in order to reach your final destination of today – Prince George. Today you will traverse the rugged wilderness of the interior mountain ranges on your way to Smithers, your base for the night. 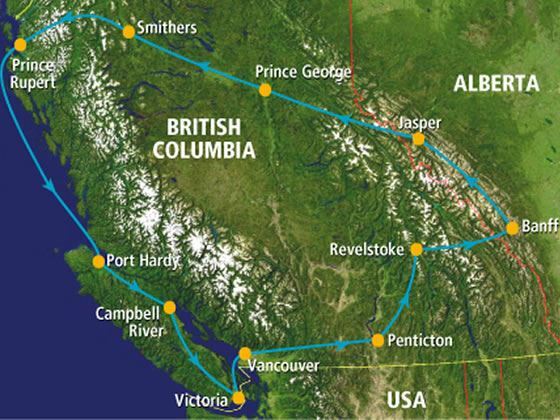 Today sees you follow the scenic Skeena River Valley along to the active, bustling port city of Prince Rupert. Along the way you’ll witness British Columbia’s oldest surviving salmon cannery with the traditional docks and boardwalks. 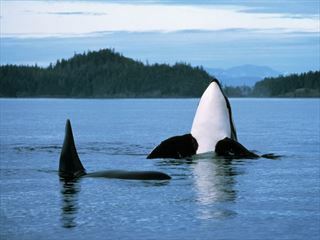 Today you’ll enjoy a full day of ocean cruising aboard the B.C. Ferries sailing along the British Columbia coastline. This famous Inside Passage cruise terminates at your destination in Port Hardy – a destination with access to a superb array of wilderness adventures, from camping and caving to kayaking and simply viewing the awe-inspiring nature. Travel the eastern shore of Vancouver Island to Campbell River today. Touted as the ‘Salmon Capital of the World’, Campbell River is a coastal city with great appeal for nature lovers and kayakers. There’s a gentle pace to life here that’s peaceful and matches perfectly with the serenely beautiful scenery. Continuing along the coast, you’ll pass quaint and picturesque seaside towns such as Courtenay, Qualicum Beach, Parksville and Nanaimo. 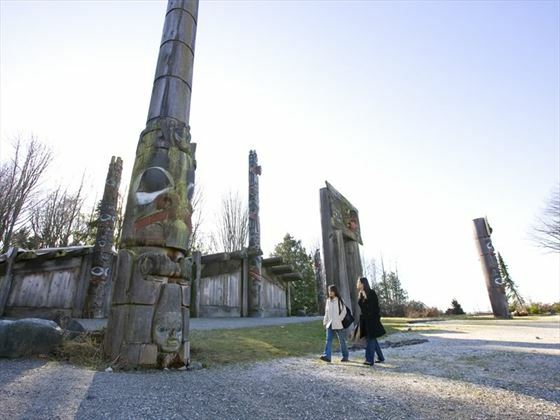 In Duncan, visit the Quw’utsun’ Cultural and Conference Centre and in Chemainus, you can see the famous murals. Approaching Victoria, British Columbia’s capital, you’ll journey along the Malahat Drive which offers breath-taking views of the water and Gulf Islands beyond. 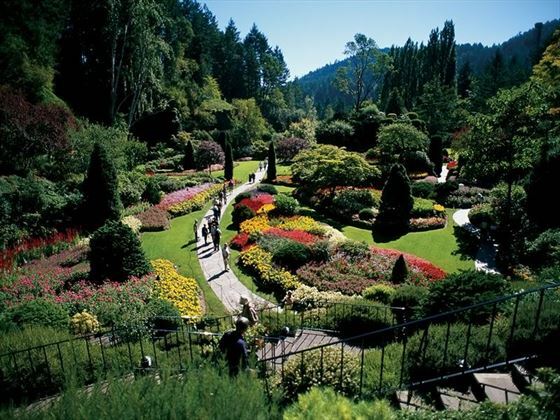 Before departing from Victoria and the beauty of the Inner Harbour, we suggest visiting the gorgeous Butchart Gardens – a spectacular array of flowers and shrubs displaying in an old stone quarry. Take a mini cruise on B.C. Ferries which will guide you around the many Gulf Islands, through the Strait of Georgia and back to mainland British Columbia for a little dose of last-minute retail therapy. Today marks the end of your trip - check in at Vancouver International Airport for your departure flight. Tour departs every other day between 10th June and 4th September 2018. August departures may not available due to Ironman competition in Pecticon (dates TBA). Tour also avaialbe 29 May, 5 June, 11th & 18 September 2018 with an overnight on Ferry instead of a Port Hardy hotel on day 11.